Even though Jesus promised to give us abundant life when we connect our lives to his, most Christians do not experience the fullness of that life. Why? Because we allow various roadblocks to sidetrack us in our journey. Consequently, Christians stumble through their lives, knowing what they should do but not knowing exactly how to do it. 17 Roadblocks on the Highway of Life and How to Move Around Them by noted author and pastor Brian Harbour considers many of the common roadblocks which create unwanted detours in our lives. Through scriptural models, Harbour outlines specific strategies for implementing lessons of the Bible that can aid us in moving around these blocks and back onto the roads of our lives. Specific lessons consider the roadblocks of ambition, depression, guilt, loneliness, and many others. Brian L. Harbour has served as a pastor for forty-two years, including First Baptist Church, Pensacola, Florida, Immanuel Baptist Church, Little Rock, Arkansas, and First Baptist Church, Richardson, Texas. He received his Ph.D. from Baylor University and has taught at George W. Truett Theological Seminary and Dallas Baptist University. He currently serves as the Winfred and Elizabeth Moore Visiting Professor at Baylor University and as president of the non-profit SeminaryPLUS, an organization that encourages pastors and church leaders. 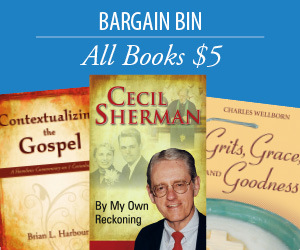 He is a popular author of three books (17 Roadblocks on the Highway of Life, Contextualizing the Gospel, and Jesus the Storyteller) and writes the weekly commentary for Smyth & Helwys’ Uniform Series Bible study. Brian has been married to Jan since 1966. They have four adult children and four grandchildren. 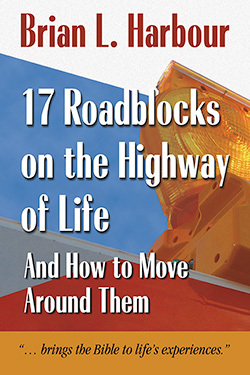 Like an experienced flagman at a highway construction site Brian Harbour gives clear directions for successful living in his book, 17 Roadblocks On the Highway Of Life and How to Move Around Them. He brings all his gifts as a successful pastor, an excellent preacher, an accomplished writer, and a popular adjunct professor at Truett Seminary into focus to give us what may well be his best work yet. This book will not only be a tremendous asset to me and to readers, but it is also something I can share with people I encounter who are facing some of these roadblocks. . .It speaks directly to people who are on the journey of faith. Brian Harbour knows about life and what life brings. Lots of people know such matters, but the difference with this author is that he brings the Bible to life’s experiences. In seventeen life experiences, Brian Harbour deals realistically with the life experience and therapeutically with the light Scripture brings to the situation.